This is a super layout. 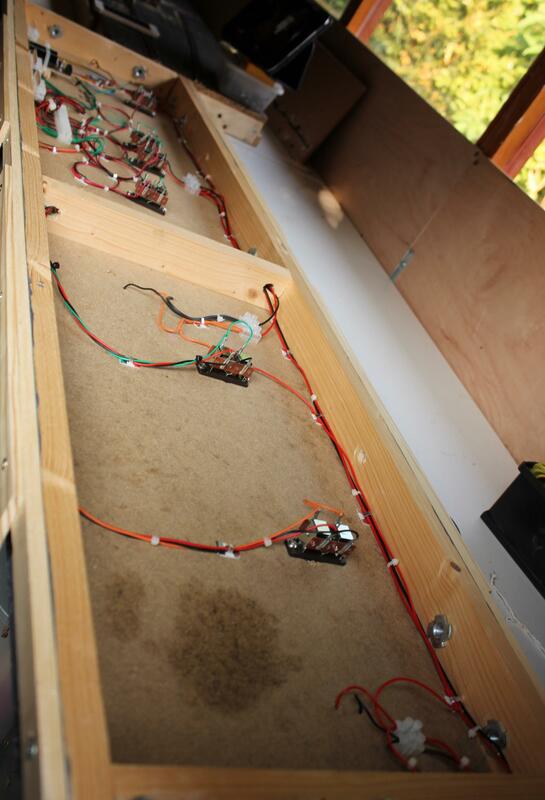 A little more progress on the layout has been made, all the electrics have been been completed and the underside of the station board looks very different than before. Mine started out like that, I now too ashamed to post a pic of the current wiring mess. Hi John thanks for your encouragement, and I’m sure Caz it’s not as bad as you make out, I think we all feel things are worse than they actually are. I’m sure Caz it’s not as bad as you make out, I think we all feel things are worse than they actually are. Nice try, you almost got me to post the evidence to how bad it is but I resisted at the last moment. Hi Caz, a lucky escape then! Also tried was the uncoupling on the platform line, the magnets were fitted a while back, but only got round to fitting the Dapol uncouplers today. Well it works okay pushing by hand, let's see if the same result occurs under power. Checking the platform for clearance, it has been decided to scrap the existing one and build the new one in-situ. Well this layout is definitely in the stop start category, I hadn’t expected it to go into its fourth year without the main board being more or less finished. However, I did seem to lose a bit of enthusiasm for model railways in the middle of the year, however hopefully it is back having adopted the 15 minute per day approach I read on a Rapido blog and seeing what the teams in the great model railway challenge could do in a few hours. I know that programme wasn’t to everyone’s taste, however it seemed to have a far few followers at the place I work who aren’t railway modellers. Apart from the usual domestic distractions, a fair bit of my time in the last year or so has been taken up with assignments for a post graduate diploma I am taking in connection with the sort of work I do. Anyway it is now on the home straight with only two assignments and a viva left. 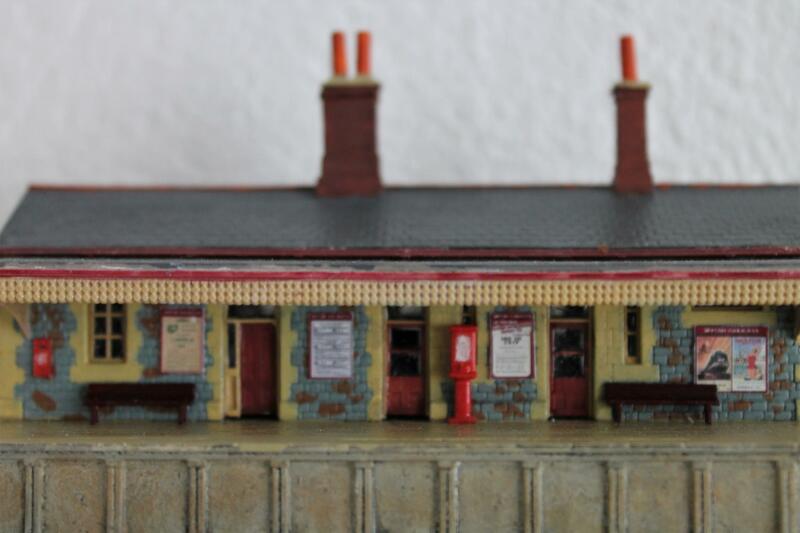 Enough about me, well the recent activity on the Cemaes has been finishing off the station building, new roof required as I stored the original in a very safe place (d’oh). 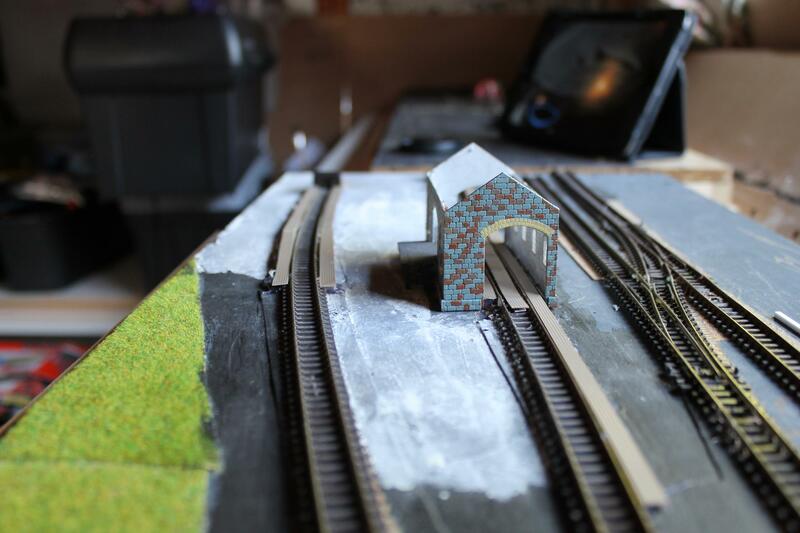 Finishing the goods shed, building the coal merchants office (from the Ratio kit), the brickworks office at the works entrance (using the Kestral level crossing building). Competing against this have been trying to paint the mini mes (Courtesy of Modelu) and taking inspiration from some absolutely fantastic railway modelling on this forum. I will post some pictures of the buildings at some point in the near future. Thanks for reading. Having retasked a Kestrel level crossing house myself, I'm looking forward to the pics. 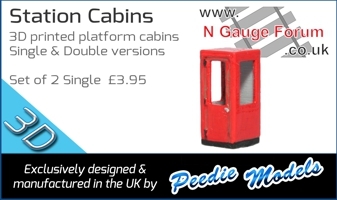 Hi Bealman there won’t be too much of a change for the Works gatehouse will be as it comes in the kit. I am however, adding half of the sign (it’s an etch that folds over so for my purpose I get two signs) that came with coal merchant kit. I won’t be using the gutters or drainpipes that came with the kit, a bit too crude so I will fabricate something new. 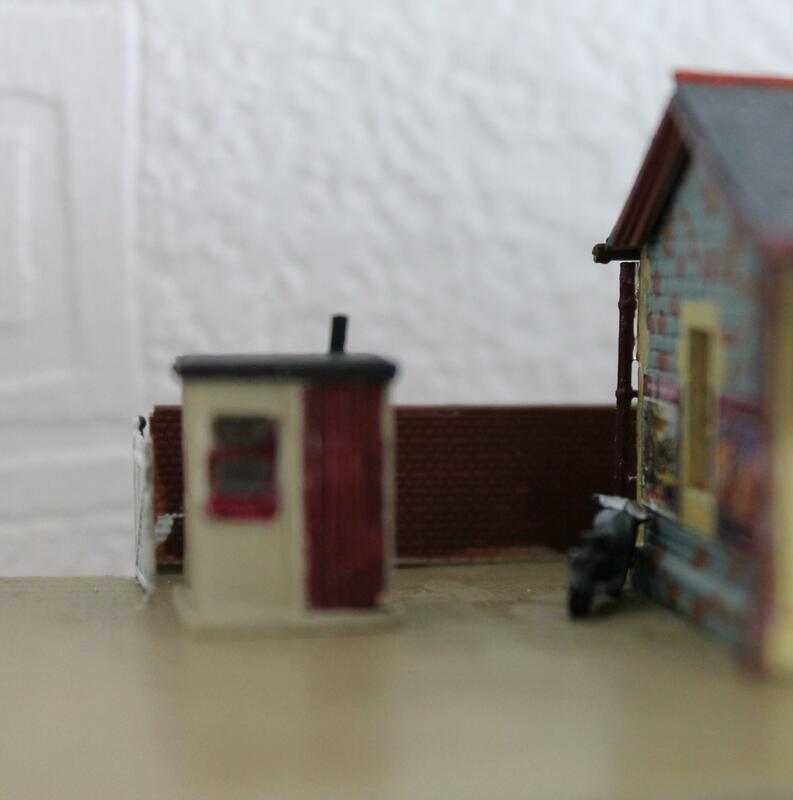 On the building front there is quite a bit to do in the factory, the Kestral factory will be tapered with maybe offices at the narrow end, boiler house, perimeter wall and a kiln or two. 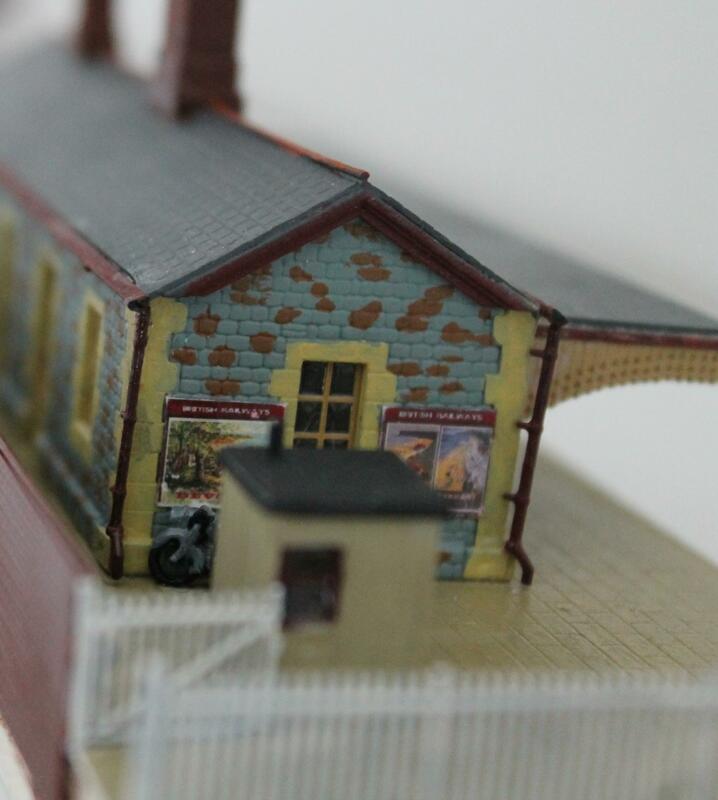 The station building is based on the Ratio kit, with internal walls, seats, fireplaces etc, not they will ever be seen again, as the replacement roof is permanently fixed. There is still a few jobs to be done on the building, gutters, drainpipes, chimneys, more signage, some filling of gaps and paint touch ups. It is really only with the close ups that you see the snags needing to be finished. Here is the platform side of the station. The seats have just been placed to get an impression, they need painting maroon before fixing. The ticket hut to the left of the building is a modified Ratio lineside hut, Almwch had one which appears prominent in all of the BR period photos I have seen. I have imagined that this was also applied to Cemaes Bay as well. The kit has been modified by adding in a couple of windows with the frames coming from some etched factory windows I have. The photos show it in two positions one with the door on the way out side and one with the door on the platform side. I prefer the platform side (sames as Almwch). The fencing is from Ratio, as is the gate (hut and gate will be positioned to stop anyone sneaking around the side to avoid the ticket collector!). Just to get a feel for the station I took an eye level photo of the ticket hut. In researching Almwch station, photos tend to fall into either shots from the Town End or from the other end of the platform. 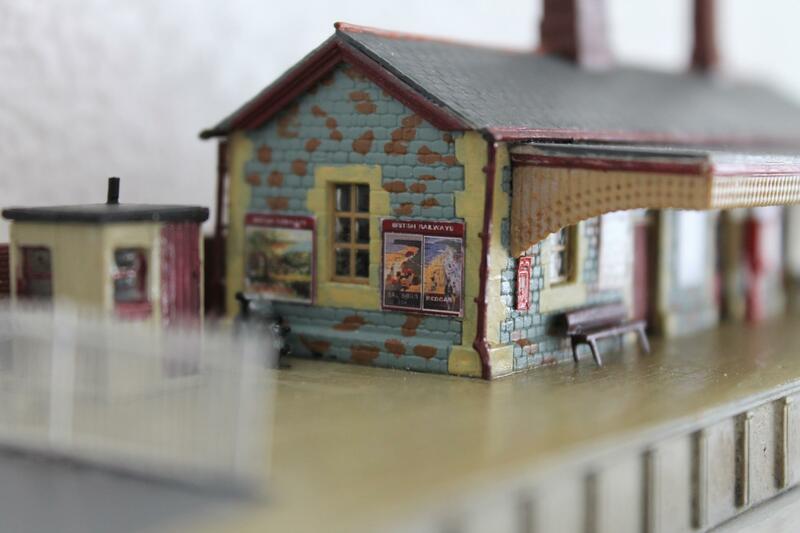 Tried to recreate this see if it is creating the feel of an Anglesey Central railway station. The Gents is something Almwch didn't have and the lamp store is an container that was in the odds and bobs box. 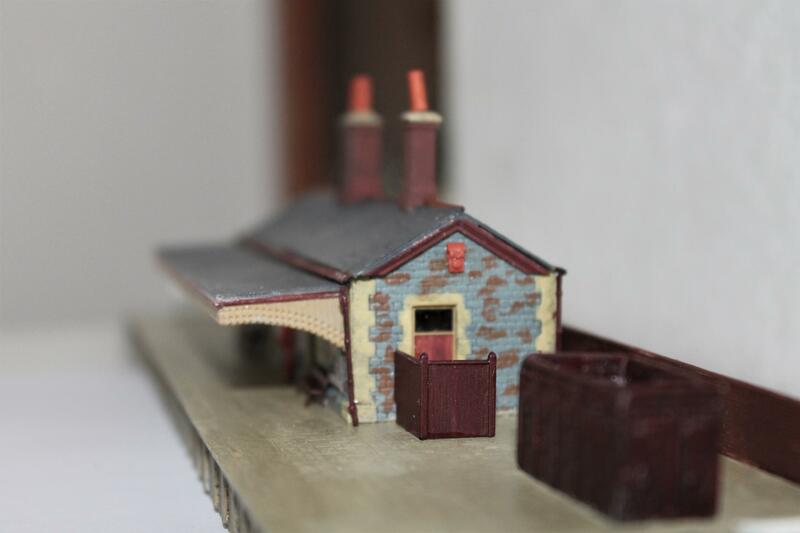 There is still a fair bit to do on the station, lamps, telegraph pole, blend the gravel into the slabs, station name board, flower bed, painting, weathering and the list goes on. Being a "what if" layout, it allows history to be adjusted to for the benefit of the layout. The Anglesey Central Railway line to Almwch at Rhosgoch is imagined to split, with the Almwch line bearing in an easterly direction. The branch to Cemaes Bay line heads off in a northerly direction. The branch line keeps to the east of the road and swings around to enter the town from the north, which then matches the layout. In reality where the station has been placed is a new(ish) housing estate (makes a change for housing to be built on former railway land). On the way into Cemaes Bay station the line passes the edge of the Porth Wen and Llanlleiana works behind the warehouse. I will get around to drawing a route map and post it. A little more research indicates that there were three brickworks in the area of Cemaes Bay which were never rail connected and had fallen out of use in the early twentieth century. Adjusting the timeline sees the three concerns being consolidated on a single site with tramways providing access to the raw materials nearer the historical locations. Each of the works manufactured different product types, Porth Wen, a yellow silica brick for lining kilns and furnaces, Llanlleiana manufactured porcelain and Cemaes brickworks the classic red brick. This should provide an interesting variety of outbound traffic requiring open wagons and covered vans and justify a warehouse next to the line. Inbound traffic would be coal for the kilns and timber for packing cases. At the moment the works has a single siding, perhaps a second is needed. It is envisaged that shunting would be performed by the engine working the goods train, although a shunter could be sent from Bangor if the demand justified it. When no locomotive is available, shunting of standard gauge wagons would be by a modified tractor. I remember seeing a picture of a tractor fitted with dumb buffers for this purpose, how successful I am in modifying an Oxford Fordson is still be seen. Rail connection and consolidation allows for the works stagger on to the 1950s/ 1960s. I did read somewhere that marble was extracted from White Lady Bay (Porth Padrig), maybe additional traffic (and different) for the goods yard, probably need to consider better lifting facilities in that case. After the Cemaes Bay branch splits from the Almwch line, a small halt and siding is located at Bodewryd. This halt is to pick up agricultural traffic, however to the east of this station is the 1970s Rhosgoch oil storage facility which is served by a siding off the Almwch line. Although after the intended time, maybe this later facility was developed from an earlier smaller facility built in WWII and was originally served from the Cemaes Bay branch. The redevelopment of the site sees the access changed to the Almwch line and returns us to reality. 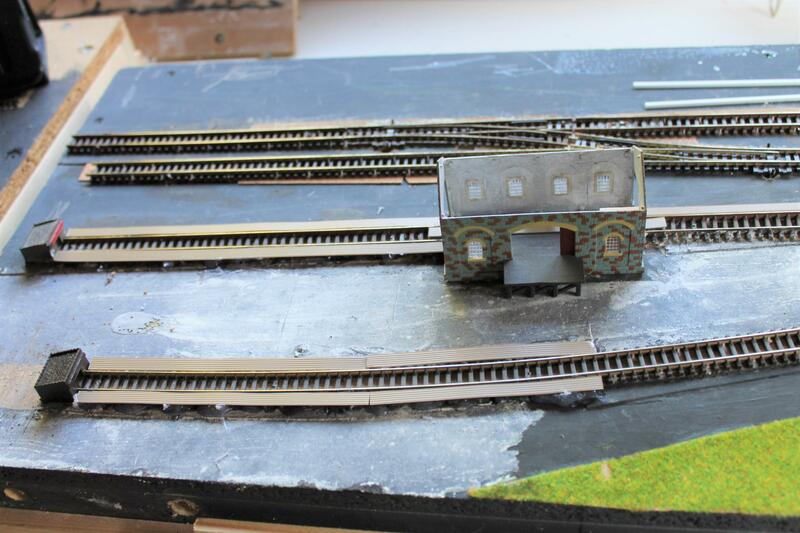 On the model, steady progress has been made with the station, I think I have got rid of the horrible gap at the bottom of the station building by using glue and glaze. 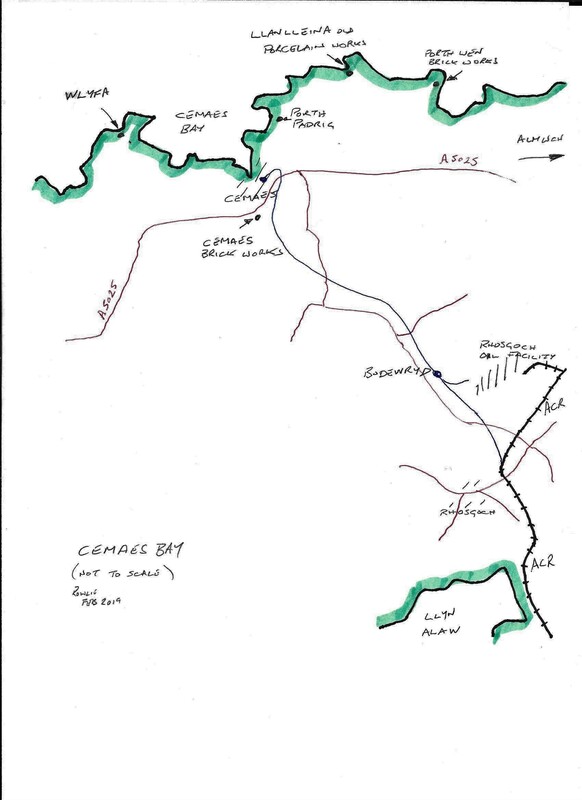 The sketch shows the imagined line running from Rhosgoch to Cemaes Bay, on the map there doesn't seem to be any serious civil engineering work required. Locations of the brickworks are shown, which all depended on getting their products out by sea. The Cemaes brick works had a short narrow gauge line to take product down to Cemaes Bay Harbour. Wylfa is very close by which would of allowed the line to continue to the present. 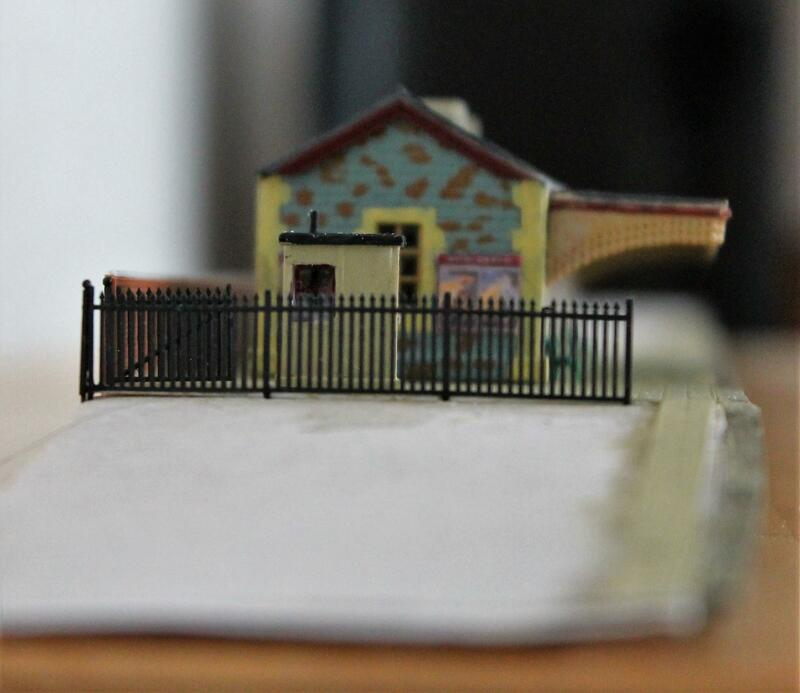 A few progress shots of the station building, firstly from entrance end of the station. Start made on adding details, behind the ticket booth are a couple of dustbins and the motorcycle belongs to one of the station staff. One good thing about taking photos is you see what needs fixing (including a rather wonky chimney pot). The last two pictures are from the front and platform end.